I like to shoot as much of the day as it really happens without any directing or promting. Using my experience to anticipate and capture those special moments while you are unaware of my camera. My unobtrusive approach is best suited for couples who wish to capture their wedding in an artistic yet documentary manner vs. spending hours on posed photos. Of course we must do some family photos but not too many. While paying attention to light and composition, I prefer simple images that are are not contrived and digitally overworked. I enjoy the opportunity to photograph the interaction between you and your guests, the details and the narrative that is created by the flow of the wedding itself. My passion for photography began during a backpacking trip around Australia and South East Asia shortly after leaving school. On my return I decide to try and make a career of it and moved to London where I began working as an assistant photographer. Since setting up on my own in 1994 I’ve worked on a diverse range of commissions which have been included in many national magazines, books and advertising campaigns. Soon after our own marriage, my wife Lynn and I decided to leave the city life and return to the Highlands to raise our family. 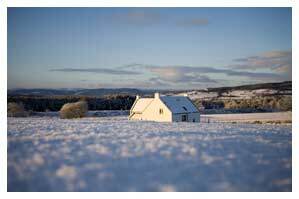 We purchased a croft in the Black Isle in 2002 and completed building our home where we live with our two sons Matthew and Roan. 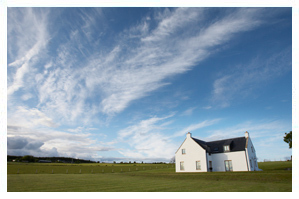 I now work exclusively as a wedding photographer covering weddings throughout Scotland and beyond.